39 % of us interact with brands regularly or all the time, with the rest doing so occasionally (33 percent) or hardly/never (28 percent), according to the latest edition of The Curve Report from NBCUniversal Integrated Media. 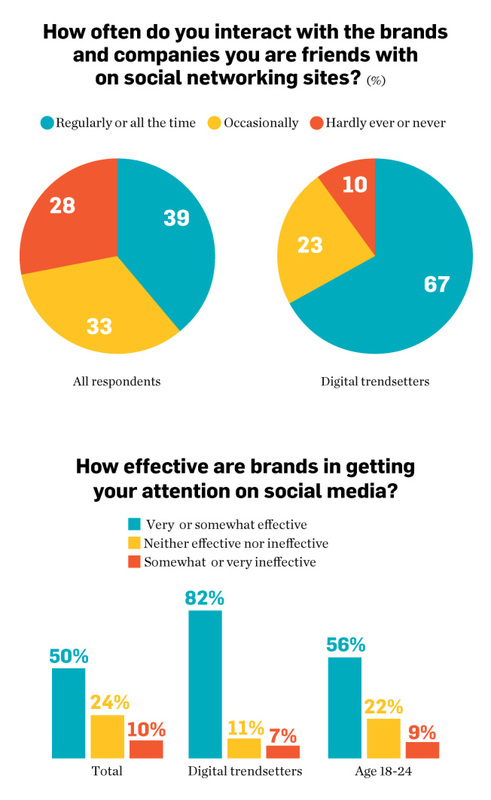 Clearly, brands could stand to do more to keep consumers interested; the chief reason given by people who don’t engage with brands on social networks is that they only “like” brands to get a deal they’re offering. What Are Brandfans (Really) Worth?